(we have not had a family picture in YEARS). Look at how great it looks as a Christmas card, Mom. hahahaha...so cute! Every year me and Chuck Norris do a funny xmas card to send to friends and family...so fun! The world can't help but stop and stare at little Fox. Add another pair of mittens and a small pair for Fox and we've got this year's card! i expect one of those in my mailbox this year. 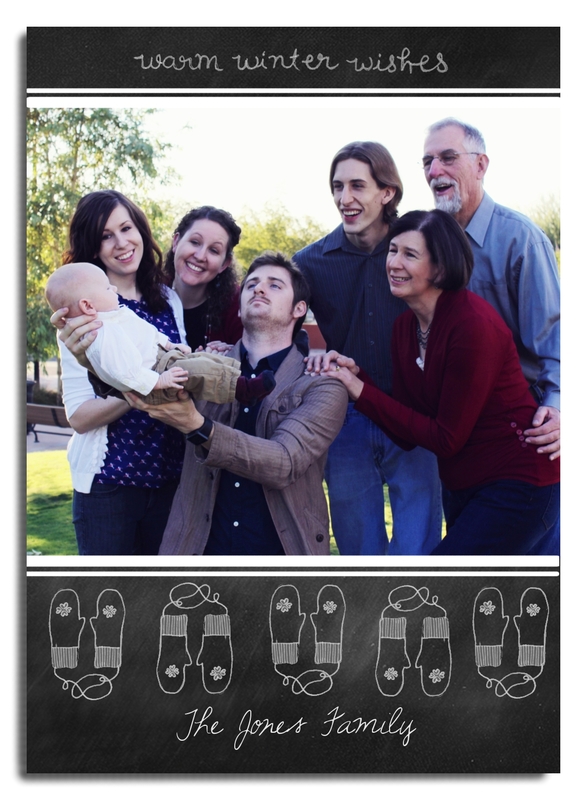 so much personality, it HAS to be the jones family christmas card!